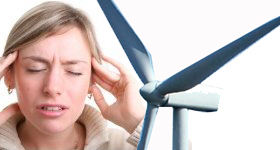 In accordance with the EU energy policy, wind turbines are becoming increasingly widespread throughout Europe, and this trend is expected to continue globally. 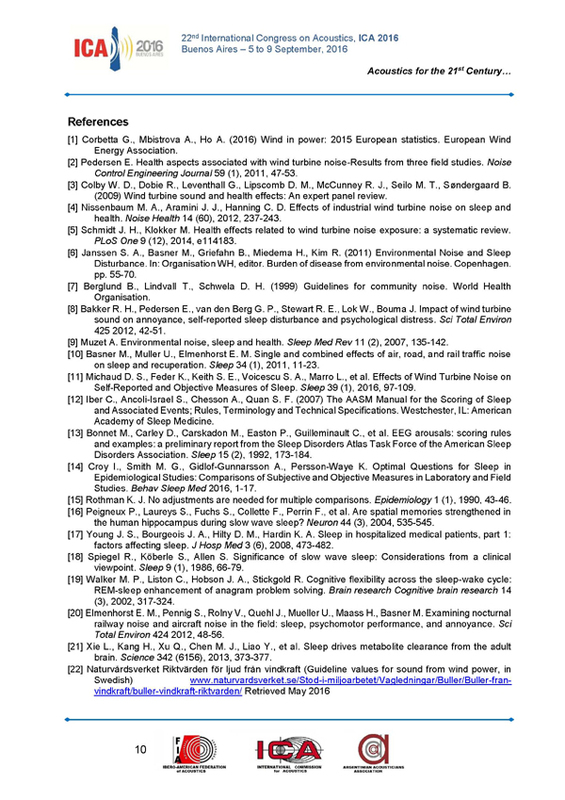 More people will consequently live close to wind turbines in the future, and hence may be exposed to wind farm noise. 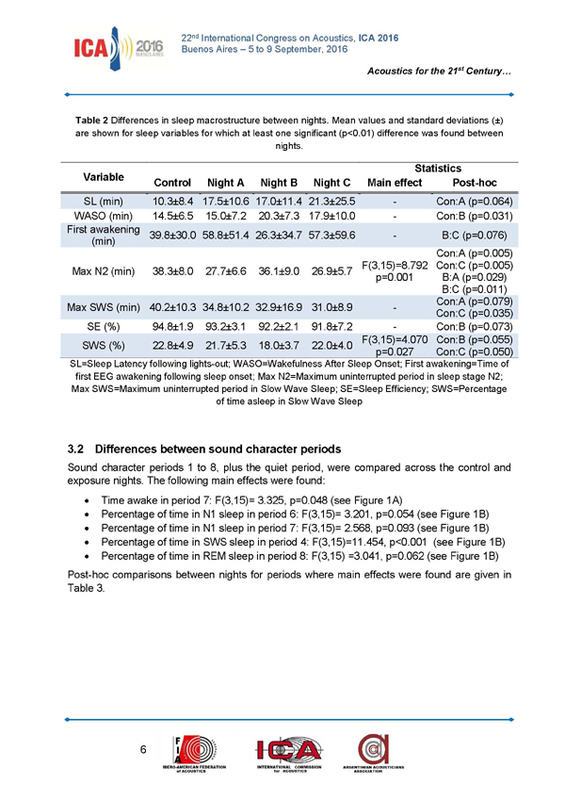 Of particular concern is the potential for nocturnal noise to contribute towards sleep disturbance of nearby residents. 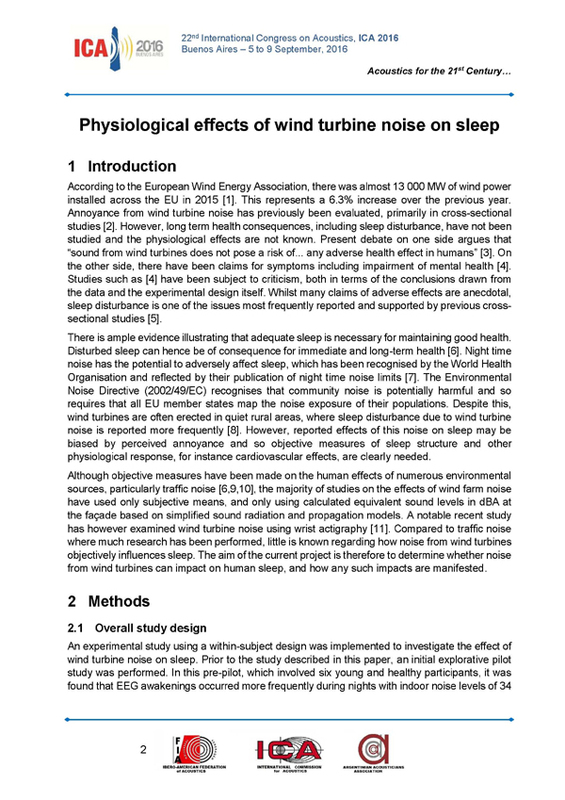 To examine the issue, we are implementing a project titled Wind Turbine Noise Effects on Sleep (WiTNES). 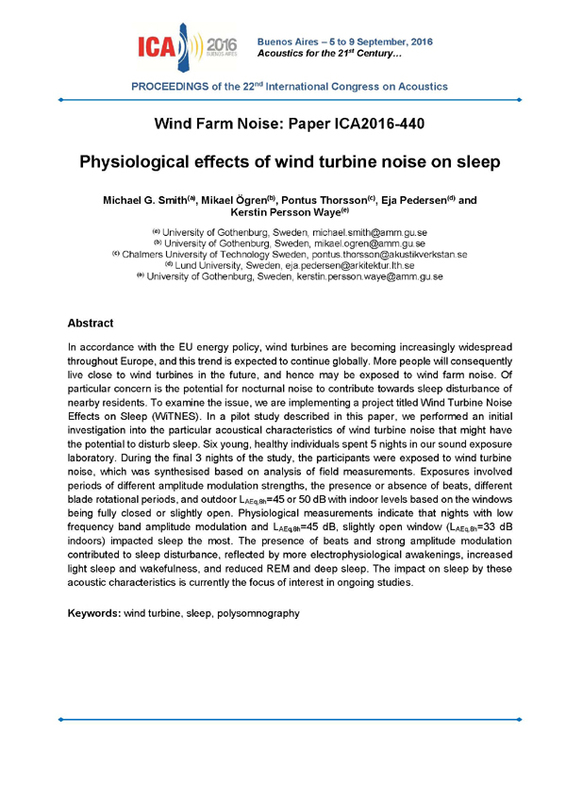 In a pilot study described in this paper, we performed an initial investigation into the particular acoustical characteristics of wind turbine noise that might have the potential to disturb sleep. 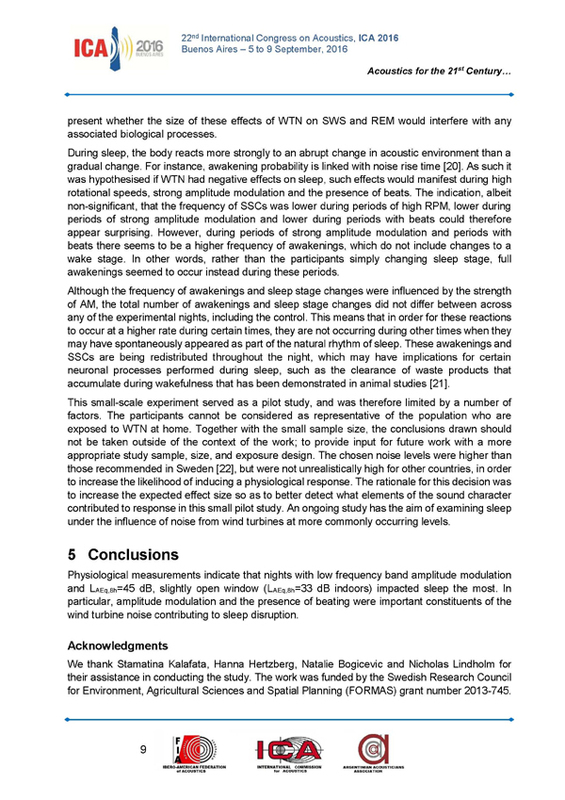 Six young, healthy individuals spent 5 nights in our sound exposure laboratory. 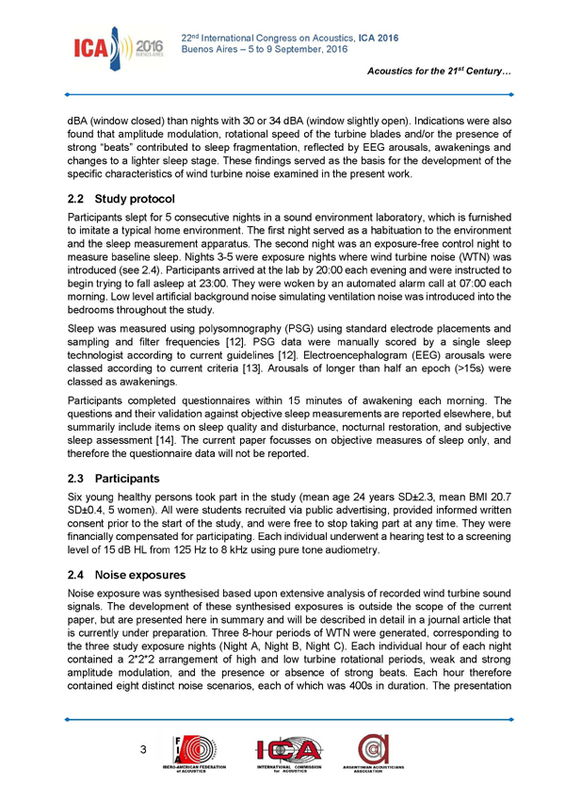 During the final 3 nights of the study, the participants were exposed to wind turbine noise, which was synthesised based on analysis of field measurements. 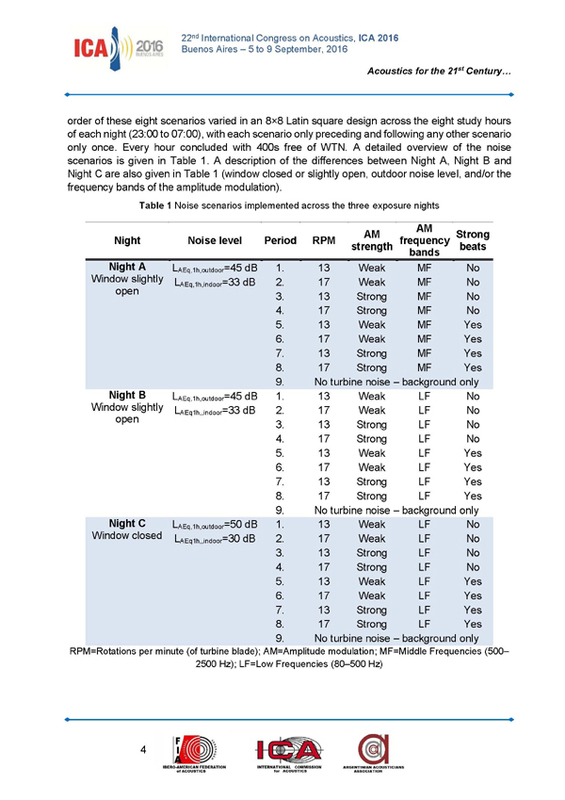 Exposures involved periods of different amplitude modulation strengths, the presence or absence of beats, different blade rotational periods, and outdoor LAEq,8h = 45 or 50 dB with indoor levels based on the windows being fully closed or slightly open. 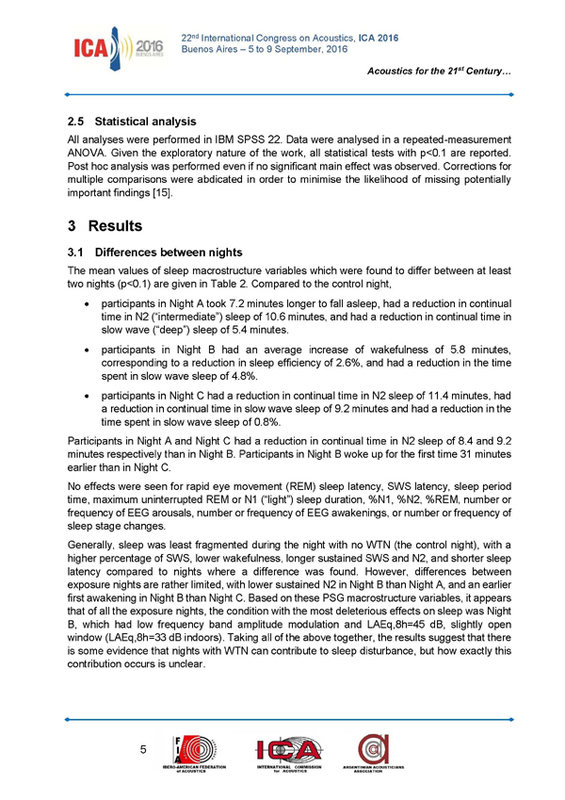 Physiological measurements indicate that nights with low frequency band amplitude modulation and LAEq,8h = 45 dB, slightly open window (LAEq,8h = 33 dB indoors) impacted sleep the most. 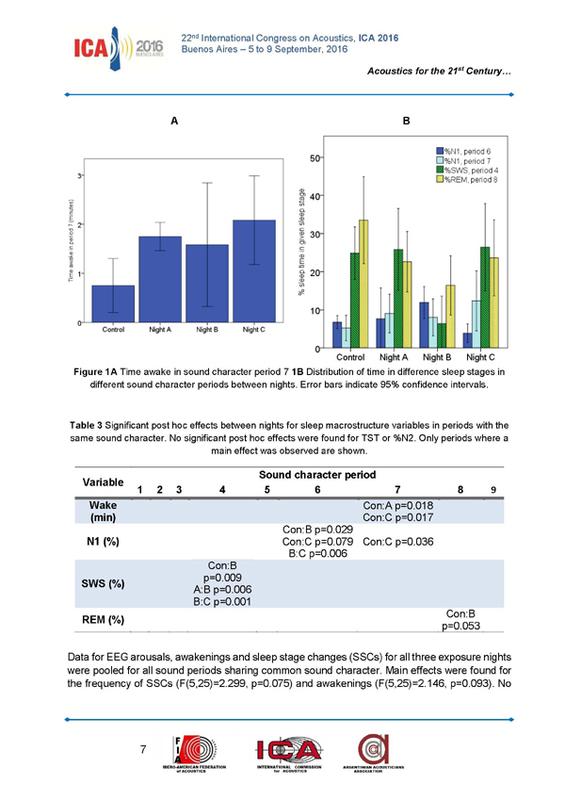 The presence of beats and strong amplitude modulation contributed to sleep disturbance, reflected by more electrophysiological awakenings, increased light sleep and wakefulness, and reduced REM and deep sleep. 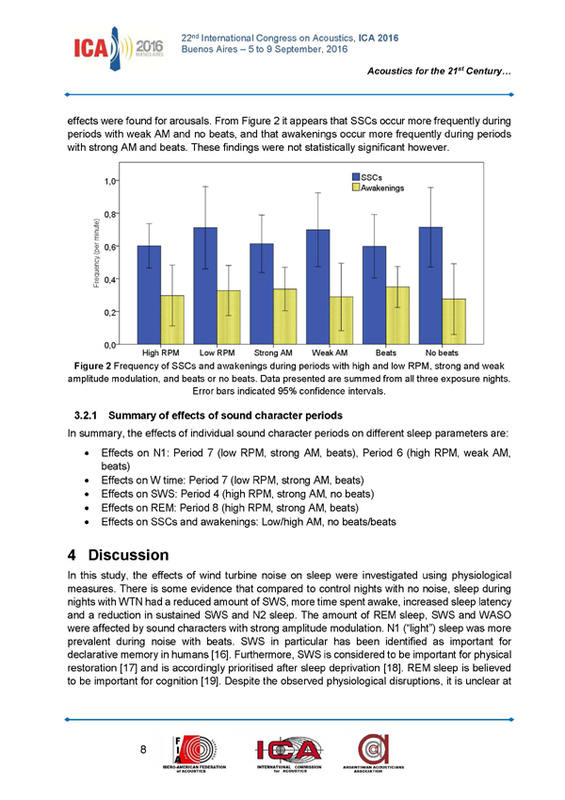 The impact on sleep by these acoustic characteristics is currently the focus of interest in ongoing studies.